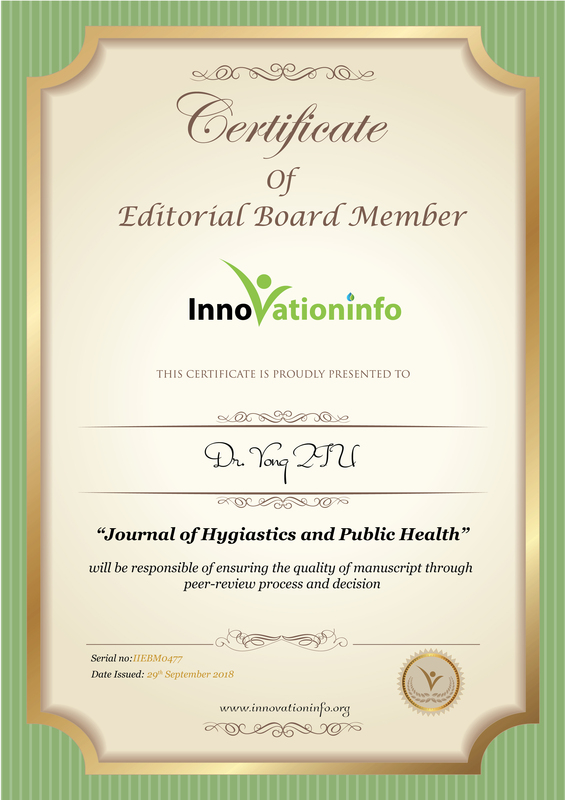 Biography: Dr. QIU Yong was born in Hunan Province, China at June 1977. In 1995, he entered the Department of Environmental Science & Engineering, Tsinghua University as a college student. He got his bachelor degree in 2000, and his master degree in 2003 in Tsinghua University, Beijing of China. After that, he joined Department of Urban Environment in Kyoto University, Japan to pursue his doctor degree. After he was awarded the doctor degree at 2007, he turned back to Tsinghua University to be a post doctor until he got a lecturer position in 2010. Now he works in School of Environment, studying on the wastewater treatment processes, operation and controls in engineering, microfluidics to study environmental microbiology. He published 40 papers in recent five years, and 16 of them were included by WOS. Qiu, Y.; Zhang, J.; Li, B.; Wen, X.; Liang, P.; Huang, X. A novel microfluidic system enables visualization and analysis of antibiotic resistance gene transfer to activated sludge bacteria in biofilm. SCIENCE OF THE TOTAL ENVIRONMENT, 2018, 642, 582-590. Qiu Y, Tang Y, Li B, He M. Aptamer-based detection of melamine in milk using an evanescent wave fiber sensor. Analytical Methods 2018. Qiu Y, Gu C, Li B, Shi H. Aptameric detection of quinine in reclaimed wastewater using a personal glucose meter. Analytical Methods 2018; 10: 2931-2938. Qiu Y, Shi H, Jing H, Liu R, Cai Q, Takemura M, et al. Characterization and variations of dissolved organic matter in the Lake Taihu area of China. WATER SCIENCE AND TECHNOLOGY-WATER SUPPLY 2012; 12: 439-450. Qiu Y, Zhang C, Li B, Li J, Zhang X, Liu Y, et al. Optimal Surface Aeration Control in Full-Scale Oxidation Ditches through Energy Consumption Analysis. Water 2018; 10: 945. Qiu Y, Jing H, Shi H. Perfluorocarboxylic acids (PFCAs) and perfluoroalkyl sulfonates (PFASs) in surface and tap water around Lake Taihu in China. FRONTIERS OF ENVIRONMENTAL SCIENCE & ENGINEERING IN CHINA 2010; 4: 301-310. Li B, Ma J, Zhou L, Qiu Y*. Magnetic microsphere to remove tetracycline from water: Adsorption, H2O2 oxidation and regeneration. CHEMICAL ENGINEERING JOURNAL 2017; 330: 191-201. Li B, Qiu Y*, Glidle A, Cooper J, Shi H, Yin H*. Single cell growth rate and morphological dynamics revealing an "opportunistic" persistence. ANALYST 2014; 139: 3305-3313. Li B, Qiu Y*, Glidle A, McIlvenna D, Luo Q, Cooper J, et al. Gradient Microfluidics Enables Rapid Bacterial Growth Inhibition Testing. ANALYTICAL CHEMISTRY 2014; 86: 3131-3137. Li B, Qiu Y*, Shi H, Yin H*. The importance of lag time extension in determining bacterial resistance to antibiotics. ANALYST 2016; 141: 3059-3067. Li B, Qiu Y*, Zhang C, Chen L, Shi H. Understanding biofilm diffusion profiles and microbial activities to optimize integrated fixed-film activated sludge process. CHEMICAL ENGINEERING JOURNAL 2016; 302: 269-277. Liang P, Duan R, Jiang Y*, Zhang X, Qiu Y*, Huang X*. One-year operation of 1000-L modularized microbial fuel cell for municipal wastewater treatment. Water Research 2018; 141: 1-8. Ma J, Li B, Zhou L, Zhu Y, Li J, Qiu Y*. Simple urea immersion enhanced removal of Tetracycline from water by polystyrene microspheres. International Journal of Environmental Research and Public Health 2018; 15: 1524. Shen T, Qiu Y, Shi H*. Mathematical Simulation of Feedforward Control for Nutrient Removal in Anaerobic-Anoxic-Oxic Processes. ENVIRONMENTAL ENGINEERING SCIENCE 2010; 27: 633-641. Zheng M, Wu S, Zuo Z, Wang Z, Qiu Y, Liu Y*, et al. Predictions of the Influent and Operational Conditions for Partial Nitritation with a Model Incorporating pH Dynamics. Environmental Science & Technology 2018; 52: 6457-6465.